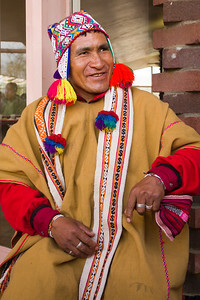 When Q’ero shaman Don Francisco takes the ‘iron bird’ from Peru to visit the ‘brothers and sisters in the North,’ he is besieged by requests to perform despachos (the ceremony by which prayers may be actualized) and to administer the nine rites of the Munay-Ki (the q’ero rites of passage). So I was not surprised when I was asked to film Don Francisco explaining the importance of the Munay-Ki for a global audience. 2) the Spanish so that we could easily create subtitles later. This sounded simple, but Don Francisco would answer and then quickly look at Mauricio for approval. I opened my big mouth and suggested through Mauricio that Don Francisco keep looking at the camera lens. The video below picks it up as I begin to call for action and Mauricio reminds Don Francisco to look at the camera, and not the translator. As Mauricio translated my request, Don Francisco ‘broke character’ and gave the response of toleration: “Yeh, Yeh Yeh.” He then proceeded to answer the question “Why is the Munay-Ki important?” as if he were never interrupted. and prayers of the participants of a despacho. I was ready to put the microphone on Don Francisco and turned to him on the bench — he was gone! Don Francisco returned smiling with these massive kintus, which are usually the size of coca or bay leaves.